Football is easily one of the most revered sports on earth. Every year, billions of dollars are pumped into the sport, and millions of people watch the games from across every corner in the world, feeding the popularity of the sport even more. The players of professional football are considered celebrities in every regard. Not only are their faces always plastered around the media, but every tiny detail of their lives are also examined, and they are incredibly affluent. Footballers are paid ridiculous amounts of money, and the more talented you are, the more money you earn. Apart from their huge wages, football players also enjoy several lucrative streams of income from endorsement deals, sponsorship, and much more. Here is our list of top 10 richest footballers in the world right now and their net worth. Ronaldo is one of the two most famous footballers in the world. You can’t have a conversation about the sport without his name creeping up one way or another. So far, the star athlete has played in three major leagues: English, Spanish, and Italian. He has also broken several records along the way. He joined Manchester United as a teenager in 2003, where he remained for 6 years and won his very first Ballon d’Or title, before moving to Real Madrid. He led his new team to plenty league and championship titles, becoming their highest goal scorer of all time, and adding four more Ballon d’Or titles to his trophy cabinet. He signed for Juventus in July 2018 at an impressive sum of €100 million. You shouldn’t be told he’s one of the richest footballers, the Portuguese forward earns over $61 million annually playing for his club. On the side, Ronaldo has endorsement deals with top brands like Nike, Motorola, Armando, EA Sports, and Tag Heuer. He also collaborates with other organisations to make branded products of his own like clothes, perfumes, and underwear. Ronaldo is the father to four kids: three beautiful boys and a daughter. Messi is a man who doesn’t need to be introduced. Whether you’re a football crazy fan or have never watched a game in your life, you have probably heard his name and seen pictures of him. He is arguably the greatest and most popular football player that has ever lived. His fantastic leg work and scoring abilities are the stuff of legends, and the only player considered as his rival is Christiano Ronaldo. The Argentinian plays for Barcelona where he earns over half a million every week and $84 million a year. Messi has scored over 600 goals in his professional career, won five Ballon d’Or awards, three of which he received consecutively. Nicknamed “Little Magician,” he has carried his team to numerous victories, earning awards and becoming the most decorated player alive in the process. Although Messi is not as commercially minded as his rival, he also has endorsement deals with Adidas, Turkish Airlines, EA Sports, Gillette, and Pepsi. He recently married his longtime girlfriend, Antonella Roccuzzo and they have three sons together. This super talented dribbling wizard hails from Brazil and is the third richest footballer in the world. Neymar is easily one of the best strikers in the game today and is considered the natural successor after Messi and Ronaldo. The former Barcelona player shattered transfer records in a €222 million move to Paris Saint Germain in 2017, which no doubt accelerated his income and earning power. By the age of 20, Neymar had already scored his 100th goal, a feat that most footballers can only dream of. His magical dribbling and finishing skills have been compared with footballing legends like Pele. The star currently takes home $73 million from his club annually. Off the pitch, his handsome face and sunny disposition have won him sponsorship deals with Beats by Dre, Nike, Gillette, Red Bull, McDonald, Volkswagen, Unilever, and Panasonic. With age on his side and the sport being the money bag it is, he might be well on his way to becoming the first soccer billionaire. Zlatan has built a brand for himself around controversy, and this arrogant belief in himself – he patented his own name in Sweden. That, alongside his unquestionable talent, has made him one of the most popular players in the world today. The star striker has played for nine clubs in his 19-year career including Barcelona, PSG, and Manchester United. He has won a number of awards along the way including the Golden Boot. Zlatan is currently signed to LA Galaxy where he earns an annual salary of $1.4 million, a huge pay cut compared to the $27 million he earned at his old club. Away from football, Zlatan owns a sportswear company, which takes in extra millions for him. He also has his own line of perfumes. His controversial nature has also made him a commercial magnet, which is why he has deals with global brands like Nivea, Microsoft Xbox, Volvo, and Nike. Combined with the signing bonus accumulated over the years, it is easy to see why the Swedish striker is one of the richest footballers right now. This Brazilian forward is one of the richest footballers dominating the sport at present. He began his football career in 2000 with Internacional, although he didn’t appear in his debut game until 6 years later. He did not delay in making his prowess known, scoring 12 goals in 27 games and helping his team bag the 2006 FIFA Club World Cup. He joined Milan in 2007, where he continued his exploits. He has received several awards for his achievements including Golden Boy, Series A Young Footballer of the Year awards, as well as league titles for his club. 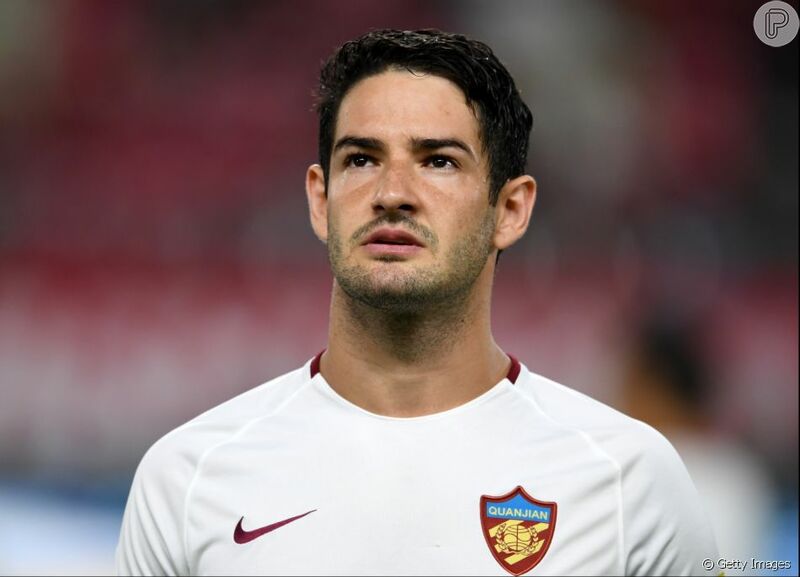 Pato currently plays for Tianjin Quanjian, a Chinese club. Without a doubt, Pato is a top rated football player and this is evidenced by the sheer amount of money he is paid in form of wages. He brings in around $46 million annual income, thanks to his salary, wise investments, property holdings, and expensive endorsement contracts with CoverGirl cosmetics. He also owns a burger chain, a football team, a vodka brand, fashion line, and a top-selling perfume brand. The Englishman is one of the most famous footballers in the world. He spent the better part of his career at Manchester United where he became their leading goalscorer. He is regarded as the richest and most talented player that England has produced. 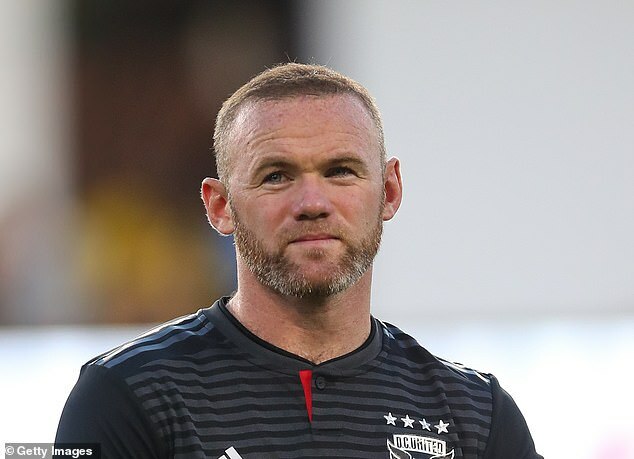 As far back as 2004, when he was playing for Everton as a teenager, Rooney was earning about £150,000 every week, which doubled after he took his skills to Old Trafford. He currently plays for D.C United in the MLS. Rooney has led his team to victory in the Premier League as well as Championships. His fame and skills have enabled him to diversify his earning portfolio. He has scored endorsement deals with brands like Samsung, Nike, and Ford. He signed a record-breaking €5 million book deal with Harper Collins, which also contributed to his net worth. It is hardly a surprise that Rooney is one of the richest footballers in the world. The English sensation has been married to Coleen Rooney for a long time and they share four lovely children. The Real Madrid forward is known for his powerful shots that land right in the net more often than not. He joined the club in 2013 for the record transfer fee of €100 million and has been instrumental to his team, winning two FIFA club world cups, four champion league titles, two super cups, and one La Liga. Bale currently earns around $28.6 million annually as a salary from the club. The Welshman also enjoys additional income from the proceeds of a company he owns with his parents. The lucrative endorsement deals that have come his way also go a long way in enlarging his wealth. He currently receives sponsorship from Adidas, Foot Locker, EA Sports, Electronic Arts, Lucozade, and Sony. Bale has three children with his fiancée, Ema Rhys-Jones. Hazard is a talented midfielder who plays for Chelsea and is popularly regarded as one of the best players in the game at the moment, just directly behind the Ronaldo and Messi’s of the sport. The Belgian has enjoyed impressive form both in the league and at national and championship levels. His mother and father were also footballers, she played as a forward while he was in the defensive midfield position. Hazard is an incredible passer and playmaker, he has received critical acclaim for his superb skills. The midfielder takes home £200,000 every week as wages. He also brings in millions in endorsement deals from both small and big brands alike. Some of the organisations in his roster include FIFA video games, Nike, Topps, and Lotus Bakeries, the manufacturers of Biscoff biscuit. The Chelsea midfielder has three sons with his beautiful wife, Natasha Van Honacker. Eto’o is Cameroon’s leading goal scorer with an aggregate of 56 goals in 118 appearances. He began playing football at a young age and subsequently joined Real Madrid in 1997, although his age precludes him from playing on the first team. He would go on to net 4 goals in 30 games, arousing the interest of big clubs like Everton, Barcelona, Chelsea, and Inter Milan. He is the only African footballer ranked at the top of the richest footballers list. In his five seasons at Barcelona, he scored over 100 goals. He has also played for Chelsea and Everton. Leveraging the popularity brought by his numerous title wins and talent, he scored a contract with Puma that brings in $7 million a year. He currently plays for Anzhi Makhachkala, a Turkish club where he earns $25 million annually in salaries. This Spanish midfielder and former Barcelona player is regarded as one the most iconic football players of his generation. His ability on the ball has left viewers and pundits mesmerised for years. He is a respected player for both club and country, serving as captain for both. He joined Barcelona through their youth academy, La Masia, and played his debut first-team game in 2002 when he was 18. Since then, he has helped the team to two trebles and 33 trophies, including nine La Ligas and four Champions League titles. He is the most decorated Spanish player in history. Although he signed a lifetime contract with his beloved football club in 2017, Iniesta announced his departure from Barcelona in 2018. He made his final appearance in his 674th game in the final match of the season against Real Sociedad and received a thunderous standing ovation from fans in the stadium and viewers around the world. 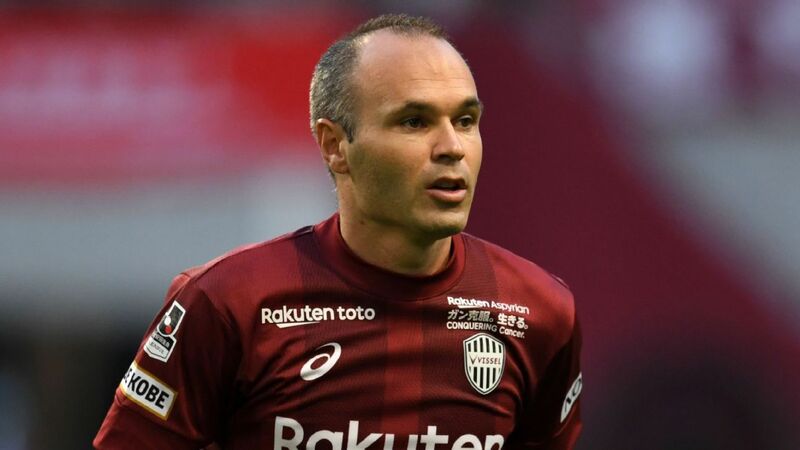 Iniesta now plays for the Japanese side, Vessel Kobe. The veteran footballer earns around $30 Million annually by way of salaries in his new club. He also enjoys a steady stream of income from endorsement deals with brands like Nike, UFX.com, Nissan, and Japanese sporting gear brand, Asics. In view of that, it is easy to see why he’s one of the richest footballers in the world.